Water is such an essential component of the Indian psyche. It is associated with the sacred places of all religions. Rivers as lifelines of civilisation also became sites of cultural importance, likewise with other natural water bodies. In urban India, water is a precious commodity in hot and dusty regions dependant on rain. Any settlement would have to devise ways to collect and store water during the monsoon for use in dry months. Traditional approaches to rainwater harvesting have manifested in delightful architectural forms like baolis, kunds, step-wells, underground tankas and over ground tanks or talavs. The role of conservation of traditional water structures today is dependent on the values we attach to them. These values are both aesthetic and functional- meant to be preserved as memory markers of bygone eras or as a focus for urban recreation. Traditionally, water and water structures were the vital engines of urban settlements. Their sacral relevance rests in their urbanity which would have been impossible without thinking about water management. In this issue of Tekton, we feature several papers and essays that make ‘water’ central to the discourse. Rahul Paul and Mohan Rao in their paper discuss water in the indigenous systems of Hampi that they have extensively studied as a part of their professional consultancy. Their study reveals a role of water beyond aesthetic or ritualistic purposes and finds it integral to the water management systems of the urban settlement. Paul and Rao employ theories of landscape urbanism to explain these medieval practices in Hampi and elsewhere. They make a case for structuring space and ordering land based on characteristics of territorial landscape, rather than contemporary models and notions of urban planning. Swati Chattopadhyay through meticulous archival research recounts in her paper, the fascinating story of the building of the Prinsep Ghat in colonial Calcutta. In the eighteenth and nineteenth centuries, a large number of ghats came up on the Ganga serving a wide variety of functions, now lost. The Prinsep Ghat was built to commemorate a prominent Company official and a well loved Indologist known best for solving the enigma of Brahmi and Kharoshti scripts. Chattopadhyay contextualises the Prinsep Ghat and criticises recent plans of riverfront development as mere beautification, arguing for an understanding of the politics of claiming the banks of the river, considering the many competing constituencies in shaping the riverfront. Heena Gajjar and Amita Sinha, in their paper, bring alive the mythic landscape of Okhamandal and Dwarka- the fabled golden city associated with the legend of Krishna. Dwarka has been a major pilgrim site for many years. The pressures on the site are immense with ecological challenges of rising sea levels and desertification of low-lying coastal areas and the logistical challenges of increasing pilgrim traffic. Gajjar and Sinha are critical of current developmental approaches and instead advocate resilient approaches of devising pilgrim trails that take into account the cultural memory of the mythic landscape and its natural features for a sustainable future of the site. Vikram Pawar’s essay on the Satras of Majuli Island on the river Brahmaputra is based on a student documentation project he led. It reveals Majuli’s two distinct settlement patterns and building traditions that emerge within a unique ecological setting. The essay weaves together the socio-cultural history of the place for a better appreciation of the built heritage. Pawar also attempts to demonstrate relevance of documentation both as a conservation tool and as an integrative pedagogical tool to sensitize the students about a different cultural geography and how architecture is shaped by it. In the Practice section, we feature two essays in this issue. Nishant Lall founder of NilaA Architecture and Urban Design, Delhi discusses the Ganga Riverfront Development Project at Patna which is presently being implemented in phases. The historic city of Patna is one of the major cities on the mighty Ganga. The project has come about due to factors like the National Mission on Ganga and an ambitious urban renewal programme of the Bihar state government. Lall highlights the features of the project while discussing the role of urban design in a complex web of urban renewal. His chief concern is to address the issues of severance of tangible links between the city and the river. 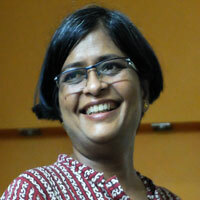 The second essay in the Practice section is by Kamu Iyer of Architects’ Combine, Mumbai. Iyer joins the discussion on the often fraught relationship between an engineer and an architect in a building project. The essay is written in response to and as an extension to the Practice essay published in Tekton, volume 3, issue 1, March 2016 – ‘Running a Structural Engineering Practice’, by Alpa Sheth, a noted structural engineer from Bombay. In his essay Iyer creates a valuable genealogy of the roles of an architect and an engineer in the context of changes in building practices that gave rise to this oppositional relationship. As one whose practice is a testimony to synergy between these two fields, he offers sane advice for a way forward. In the Dialogue section, we feature a conversation conducted by Salil Syed with Adam Hardy, well known for his research on Indian temple architecture valorizing its architectonics. The dialogue explores several details of Hardy’s lifelong work, including that of setting up of ‘Prasada’ and the work being done there. Hardy speaks at length about his experiences of field work in India, research thinking and methods- the potential of looking and drawing as a research method, issues in inter-disciplinary studies and future research directions in temple architecture. We feature two book-reviews here. Amita Sinha has reviewed Kumbh Mela: Mapping the Ephemeral Megacity which pulls together the multi-disciplinary mapping of the astounding planning and organisation of the Kumbh Mela in Allahabad by the South Asia Institute of Harvard University. Nancy Adajania has constructed a detailed political context of the time in her review of 20th Century Compulsions: Modern Indian Architecture from the Marg Archives – an anthology of essays published during the formative decades of modern Indian architecture. Both these essays point to architecture and settlement patterns being shaped by forces beyond their core disciplinary boundaries. In this issue, we engage with two important concepts applied to the question of water management- Landscape Urbanism and Lapsarian Landscapes- both advocating, in their own ways, contexts and memories of site. Our cities are afflicted with a double whammy of water scarcity and urban flooding. Conventional urban planning has turned a blind eye to the issue of managing water wisely. As Paul and Rao point out, local conditions and landscape must be taken into account. Other experts have commented on this neglect especially because of the recent spate of flooding in Chennai, Delhi and Gurgaon. The other dichotomy we witness is the continual decline of water quality in the rivers (due to poor affluent and drainage treatment) and the recent obsession of riverfront developments in many cities propelled by state initiatives as image enhancing projects. These cities have lost their traditional links to the riverbanks while they struggle to find newer meanings to revive the links beyond mere beautification. Mere aesthetizing of water structures and waterfronts neglects some very real problems of water pollution and abuse. The task of reconciling the state sponsored promotion of religious tourism along our holy rivers and sacred landscapes with ‘Missions’ of cleaning rivers seems painfully at odds with one another, particularly when ecological factors take a backseat. The papers in this issue amply demonstrate our civilisational connect with water. We face immense challenges to secure and distribute water resources, not to mention keeping them clean. How we deal with these very vital issues related to water today will decide our urban futures tomorrow. Detail of a pool on the terrace of Jahaz Mahal, a 15th century palace in the royal enclave of Mandu, the capital of Malwa sultanate in central India. Kumbh Mela: Mapping the Ephemeral Megacity. Rahul Mehrotra and Felipe Vera (eds.). South Asia Institute, Harvard University (2015). 20th Century Compulsions. Mustansir Dalvi (ed.). Marg Publications (2016).